Arguably the epitome of radio, the quintessential Philco 70 was introduced in 1931 as an entry level 7-tube superheterodyne for $49.95. 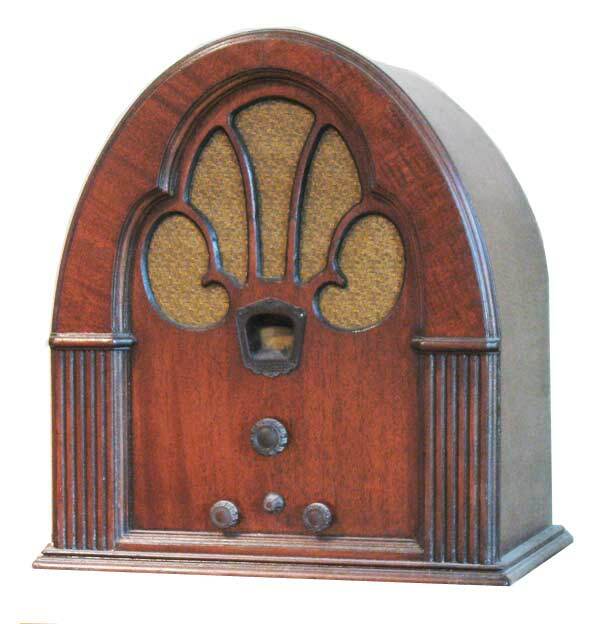 The highly collectible cabinet style was also used on many other Philco models in the early 1930s including the models 35, 46, and larger 90. This particular example was purchased at an estate auction in good shape. The bakelite block capacitors were restuffed during electrical restoration. The cabinet was refinished and restained in an English Chesnut color.